How can I get a copy of my New Testament? Two Aguaruna natives came to my office and stood in the doorway. They didn't look like the “nativos” we usually see in the village and I was interested to find out that they were living in Lima, hundreds of miles and many days by road and river from their native village. What came next was a surprise―and a great disappoint¬ment. They had heard that we had published their translation of the New Testament and they wanted to know if they could purchase a copy. With sadness, and not a little shame, I had to tell them that we had delivered all the Aguaruna New Testaments to the villages and they would have to go back to their village to receive a copy. There was disappointment on their faces, and as they turned to leave I wondered how I could help to make sure that everyone who wants a copy of their Scriptures can receive it. The latest census in Peru reveals that 73% of Peru's population is now living in urban centers. With 56% speaking indigenous languages, the need for urban minorities to have their own Scriptures is escalating. That is where a dream began to grow in my heart. With the availability of internet cafés and laptop computers many people could have access to our publications if we placed them on a Web site. 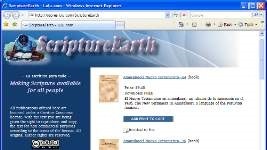 I researched several Web solutions and developed ScriptureEarth, a storefront on Lulu.com (http://stores.lulu.com/ScriptureEarth) where Scripture could be downloaded for free, or a printed copy can be ordered to be delivered to a mailbox. At this point we have over 40 languages represented and over 1,500 copies have been downloaded. With 325 New Testaments and Bibles printed throughout the Americas, the remaining task to make these available on the Web is huge. As we discussed the possibilities we began dreaming of adding audio streaming and downloading so a person could listen to their Scriptures as well as read it. 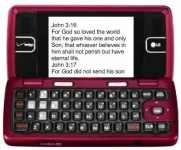 We also now have the possibility of making our Scriptures available on smart phones and IPods. My assignment for the next couple years is to see this dream become reality. I have been encouraged to oversee this initiative for the Americas, along with my ongoing responsibilities as publications coordinator. An exciting dream, but we recognize that our efforts are ineffective without the empowerment of God. And that’s where you can help. We believe the dream comes from God. It has been affirmed by our administration and we are eager to be-gin. But we need to be sure that we have a team of people willing to commit to 1) prayer for us and the advancement of Scripture in the indige¬nous languages. Lives are changed as millions of people throughout the Americas have had the opportunity to hear and respond to God's Word translated into their language. We need to hear from you. Your emails and phone calls give us 2) words of affirmation and help keep us energized when we feel discouraged. 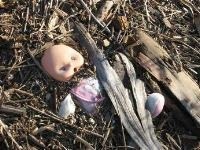 We need to raise our 3) financial support base before we are allowed to begin our new assignment starting in June. Can you be a part of raising that last 5% of our lacking support? Please let us know if you feel God encourag¬ing you to be a regular part of our ministry. Checks can be written to Wycliffe Bible Translators. 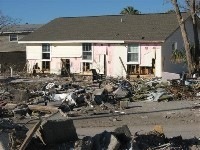 Include a note that it’s to support Bill & Sally Dyck. Or you can give on-line. Visit our website for more information. Thanks. As natural as it feels to move to a full time Publications Coordinator assignment for me, Sally has not felt so clearly directed. Slowly a desire began to grow in her heart. 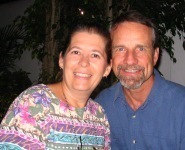 For many years she has prayed about taking more classes as part of a personal growth plan. But growth in what area? Sally has been sensitive to the successes God has given her in speaking to women and encouraging others. To enhance her effectiveness she has been reading many counseling books and looking for opportunities to use her growing skill. One of the more urgent needs presented to Sally for her next full time assignment was working in the personnel office. Lord, is this where she should work? A few days ago we sat down in the cafeteria beside the executive officer of our church. He began telling us of a course in human resource development he is teach-ing at Akron University. He gave Sally a number to call to register. It seemed like too short a time to register for a university course. And there was the question of tuition. But in the morning Sally called our personnel director and asked for his input. It turns out that there was a fund available to help with tuition and after a few phone calls Sally was registered for the course, a step in the direction of God’s plan. A few days ago we sat down in the cafeteria beside the executive officer of our church. He began telling us of a course in human resource development he is teaching at Akron University. He gave Sally a number to call to register. It seemed like too short a time to register for a university course. And there was the question of tuition. But in the morning Sally called our personnel director and asked for his input. It turns out that there was a fund available to help with tuition and after a few phone calls Sally was registered for the course, a step in the direction of God’s plan. Organizations that are a part of Wycliffe International: 48 member organizations, 29 recognized partner organizations. “We continue to see ample evidence that God is blessing Vision 2025. It began nine years ago as an impossible vision—to see a translation program begun in every language that needs it by the year 2025. The pace of progress is increasing. In the 1990s there was an average of 25 translation programs started per year. This has now increased to average of 74 per year. The number of language groups requiring Bible translation has dropped from an estimated 3000 to just over 2000.